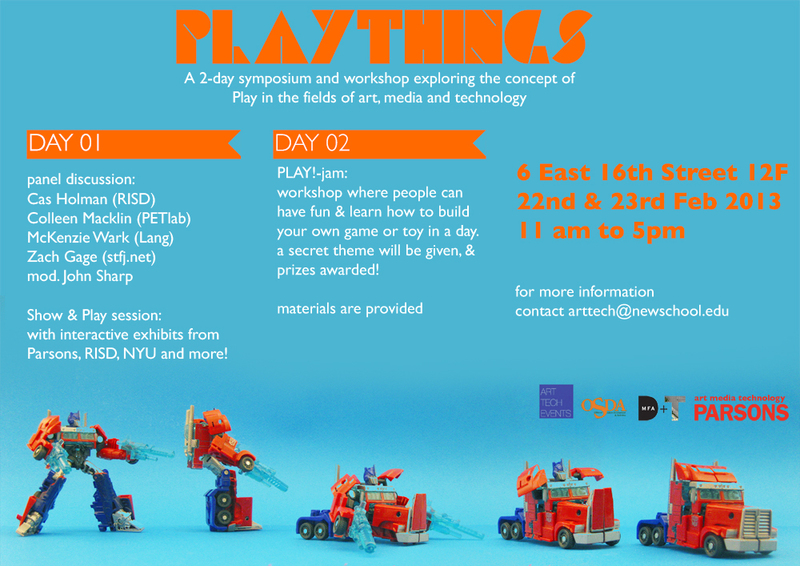 PlayThings is a symposium about structures of play, and the ways in which design can enable or resist those structures. What does it mean to play? How meaningful is the distinction between toy and game? etc. a 3hr play session with various kinds of toys and games i.e. historical toys, mechanical toys, building blocks, plushies/puppets/dolls, board games, video games and physical games to introduce participants with the variety of things and activities that constitute as play. 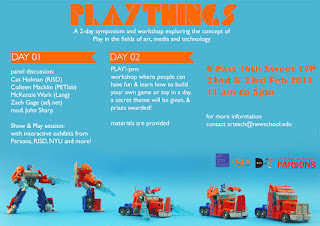 Day 2 consists of a day-long workshop and play-jam session where participants come up with their own games, toys or other forms of public play and the creations are later reviewed by the panel and other participants.